A very Happy New Year to you and your loved ones! On New Year’s Day we were delighted to welcome an East Lyme girl, Evie Helms, who suffers from Hydrocephalus, a condition where cerebrospinal fluid accumulates in the brain, causing pressure within the skull, and leading to various complications. Social media guru Adam Cilley spotted a Facebook post from the Helm’s family regarding Evie’s condition and her love of sea lions. 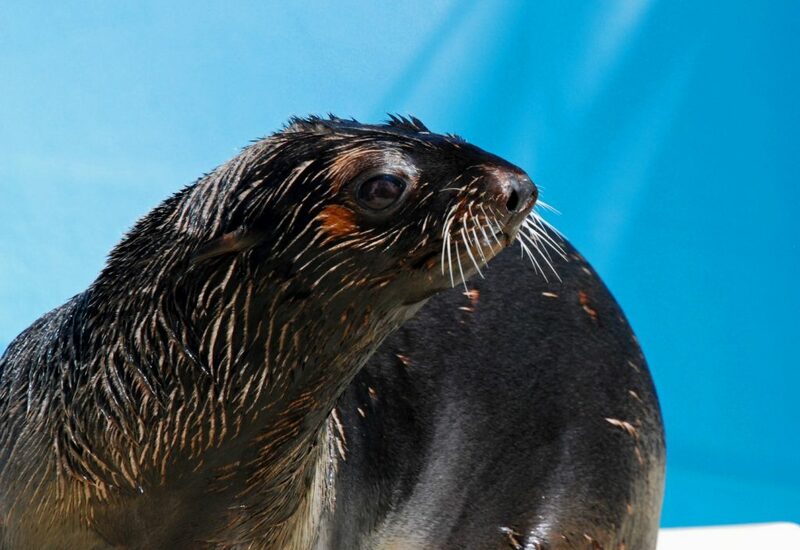 You may recall that Ziggy Star, a beloved Northern fur seal at Mystic Aquarium, also suffers from Hydrocephalus and recently underwent an operation at Tufts University Cummings School of Veterinary Medicine to relieve pressure on her brain. On December 14th we were honored to welcome Governor Dannel Malloy to Mystic Aquarium. 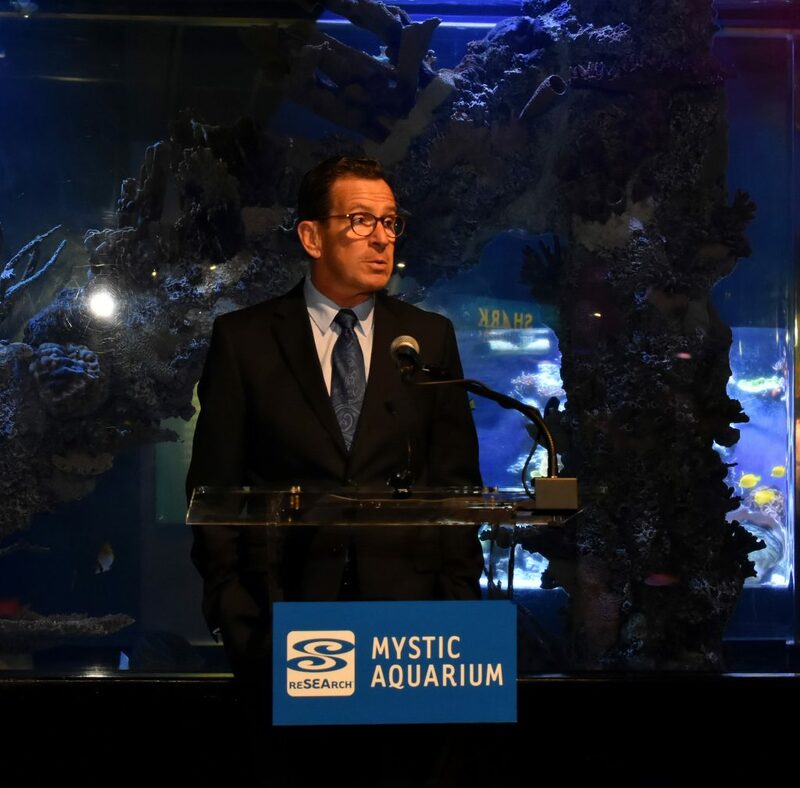 Governor Malloy, joined by Commissioner of the Connecticut Department of Social Services Roderick Bremby, announced our new initiative to provide free access to Mystic Aquarium for Connecticut Electronic Benefit Transfer (EBT) cardholders and up to five family members. There are approximately 400,000 EBT cardholders in Connecticut. The program, administered by the State Department of Social Services, provides basic services for the state’s most needy residents. Many, if not most, of these people would be unable to afford admission to Mystic Aquarium. Hopefully, this will be a way to provide equitable access to the treasures and resources of Mystic Aquarium for all Connecticut residents. Over the holidays, Mystic Aquarium launched “Aquarium Rehab”, a new series on Facebook Watch. Consisting of eight episodes, season one will air Wednesdays at 4pm now through February 14. Aquarium Rehab gives a behind the scenes look at Mystic Aquarium; the extraordinary stories of animals in need and the animal care professionals who help them every day. Here is the link to our Facebook Watch Aquarium Rehab page. More episodes are planned, so be sure to follow along. With the New Year, Mystic Aquarium is undergoing major renovations and capital improvements. Work is progressing on the new Milne Ocean Science and Conservation Center, with final bids for various components of the project expected to be completed by next week. The Foxwoods Marine Theater pool is undergoing major maintenance. This week, three of our six resident California sea lions were moved to a facility on Long Island, and the pool is being drained for concrete repairs. Guests will still have the opportunity to see California sea lions at our Pacific Northwest exhibit and enjoy daily demonstrations. Construction is well underway on the Discover Long Island Sound exhibit, plans are being readied for upgrades to the Covanta Cove exhibit, and a new exhibit sponsored by Ocean Power Technologies. We are putting the final touches on a plan for a $2 million comprehensive energy conservation project that will include the installation of solar arrays, new HVAC and life support systems and roof replacement. A new beluga lift is being designed and is scheduled for installation in the Arctic Coast in March. And finally, we will soon be announcing a major new exhibit scheduled for debut in the Ocean Conservation Center in May. We have much to look forward to in 2018. The mission of Mystic Aquarium is to inspire people to care for and protect our ocean planet through conservation, education and research. See how you can help support our many education and research programs.